Hi everyone! 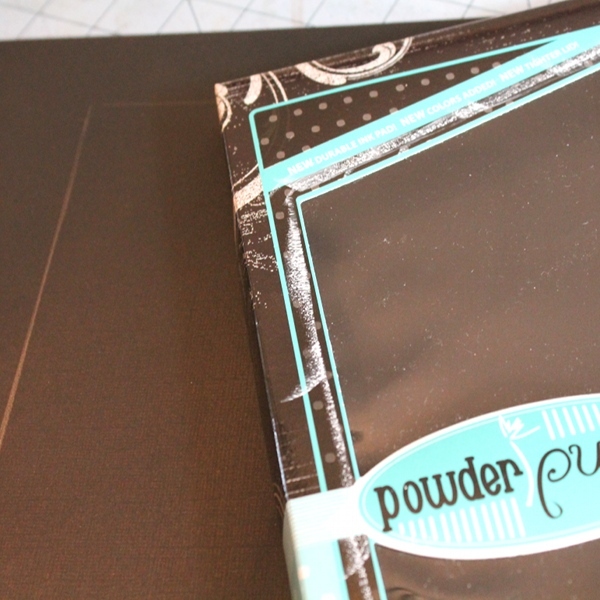 Wendy here and today I'm going to show you how to recycle the Powder Puff Ink box into a stationary set. After unpacking and organizing all my new Powder Puff Chalk Inks, I couldn't help but notice the cute packaging. Instead of throwing it away, I saved it hoping to find a use for it. 1. 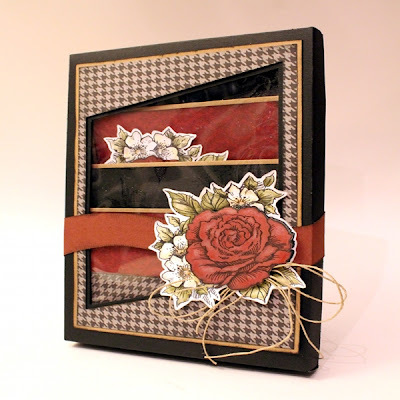 Cover the lid with black cardstock. A trick to figuring out where to cut the window is to ink the lid with Coconut White Powder Puff ink. Now turn the lid upside down and press it onto the cardstock. This will leave an inked outline of the window. Cut slightly larger. 2. 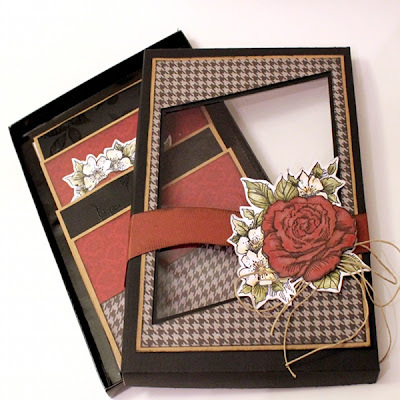 Embellish with pattern paper and kraft cardstock. Ink edges with Coal Miner Powder Puff ink. 3. Using the Kiwi Lane Design Cascade Border template, cut a band for the box front. Ink edges and adhere to box lid. 4. Stamp floral image, color and cut out. Adhere to the box lid with foam adhesive. Embellish with a twine bow. 5. Create matching cards using Cracklin' Rose Collection and Kiwi Lane Tags. Thank you for stopping on over today to visit us here at Quick Quotes. 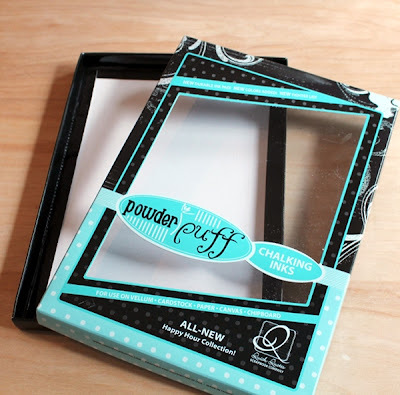 What a fun way to up-cycle the Powder Puff Chalk Inks packaging!!! What a fantastic idea Wendy. 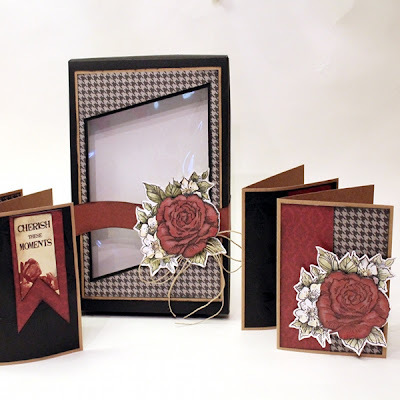 This project is so creative and thanks for sharing a step by step!!! So clever Wendy and a great way to recycle! This is such a great idea!! I know what I will be doing with my PowderPuff box now!! Thanks for the tips! Such a fabulous idea!! What an awesome gift. I LOVE this idea Wendy! Thanks for the tip about the white ink! I really adore this idea!! What a great gift this would make. I never would have thought to do that. Great idea! This is incredibly creative! I love it!